I have a confession to make: I’m a political junkie. For the good of my mental and emotional health, I wish I could cut back (there’s no point in trying to quit), but right now I probably couldn’t get clean if my life depended on it. I’ve been glued to the Democratic Party convention coverage the last two nights, which explains why we haven’t had the usual volume of posts since the weekend. Things aren’t likely to get back to normal until after this particular circus comes to an end. I did manage to pull this round-up together this morning, as well as a hell of a premiere earlier today — and a bit later we will have another Neill Jameson post about black metal. I’ll start with two citing news items and then move to some new song streams. I still remember when I first heard the music of Khemmis at the Denver Black Sky festival in the summer of 2014. It was a real eye-opening experience. Even someone as half-witted as me could tell they were something special. Lots of other people figured that out last year when they heard the band’s debut album, Absolution. And now we have a second album to look forward to, as revealed in an announcement late yesterday. 20 Buck Spin, the treasured label based in Olympia, Washington, will once again be handling the release. The album’s name is Hunted, and it now has a street date of October 21 (digital and CD, with vinyl coming in November). 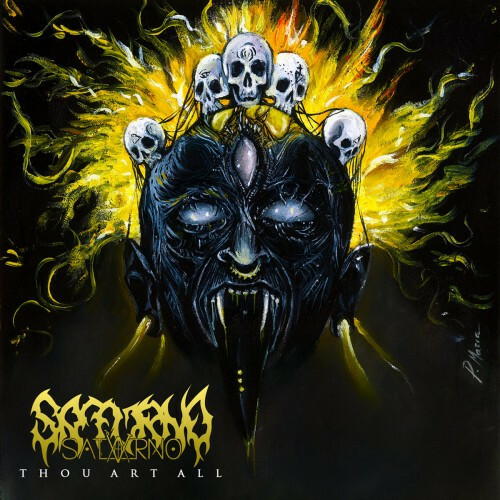 As with Absolution, the new album was produced, mixed, and mastered by Dave Otero at Flatline Audio and the cover art was created by Sam Turner. As the saying goes, if it ain’t broke, don’t fix it. I have high hopes for this album, despite the high bar the band set for themselves with Absolution. While waiting for new music to hear, I’ll leave you with the track list and these descriptions that appear on the Bandcamp page for the new album (here), where it can now be pre-ordered — and then I’ll share with you some Khemmis tour news. 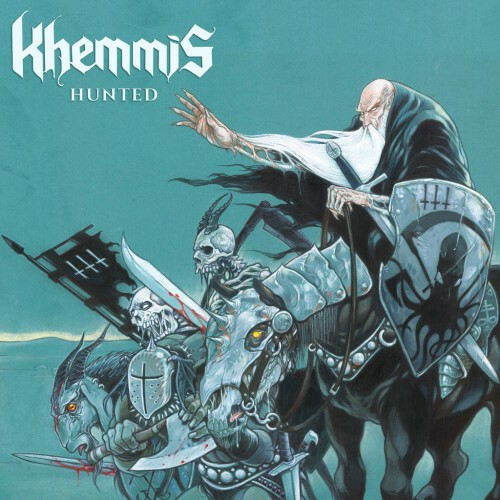 “The new album Hunted reveals a Khemmis fortified in its purpose and vision, forging an unrivaled synthesis between immense Doom riffs and Maiden-esque harmony. Overall song length has increased yielding more expansively arranged and dramatic storms of elegance and melancholy. 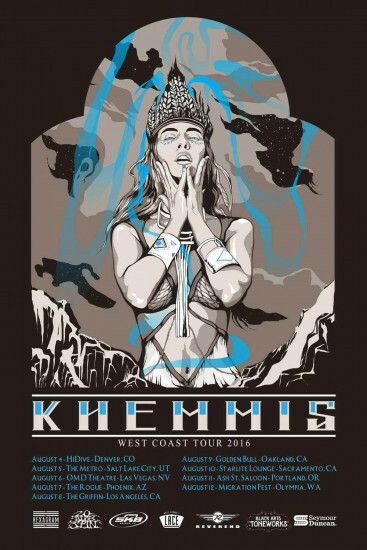 As you can see, Khemmis are also on the verge of embarking on a U.S. west coast tour. It begins on August 4 in Denver and concludes on August 12 at Migration Fest in Olympia, where I presume I and other lucky festival-goers will get a chance to hear some of the new songs live. We move from a relatively new band quickly making a name for themselves to an already-legendary one who haven’t been heard from in more than 20 years: The Swiss band Coroner, whose last album was 1993’s Grin. Actually, we have heard from Coroner — they’ve played at least one festival appearance since 2011 — but there haven’t been any new releases. That, however, is going to change. According to an announcement yesterday by Century Media, Coroner will be recording a new album for release in 2017. Saturno is an Italian death meal band with a line-up that includes current members of Unbirth, Demiurgon, and Valgrind plus former members of Hobnailed. Their debut EP is named Thou Art All and it will be released on August 31 by the Russian label Ungodly Ruins Productions. One song from this new EP is currently streaming on Bandcamp and YouTube, and I’ve embedded those streams below. It’s a surprising track in several ways. It begins as a thoroughly sinister and morbid mid-paced bulldozer and then accelerates into a fireball of technically intricate instrumental inventiveness, featuring layered insectile guitar work, somersaulting bass notes, and a head-hammering display of drum acrobatics. The vocals, which resemble the deep, blood-curdling growls of a demon bear, are also excellent. Also excellent is the cover artwork by MariyaPopyk. I wasn’t familiar with this band before listening to the following and certainly wasn’t able to make any guesses about the music based on the band’s name — though it turns out to make some sense. Bangladeafy is a duo from Brooklyn and Long Island consisting of Bangladeshi drummer Atif Haq and bassist, keyboardist, and vocalist Jon Ehlers, who is hearing-impaired. 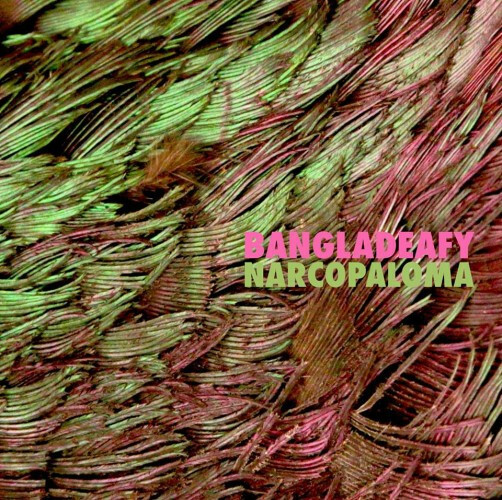 They previously released an EP named The Briefcase, and now they have a second one on the way entitled Narcopaloma, which will be released by Nefarious Industries on August 26. The first advance track, “Termites”, is amazing song — brain-twisting but melodic, instrumentally jaw-dropping but spell-binding. Riding the compelling drum and bass rhythms is like flying through a roller-coaster ride with your arms in the air, and the words that come to mind in listening to the arpeggios (I’m not always sure what instruments I’m hearing) are “intricate”, “bright”, “sparkling”, and “scintillating”. To conclude this round-up, I have another off-kilter selection as a companion to the one by Bangladeafy, though this one is as dark as the last one was bright and shining. 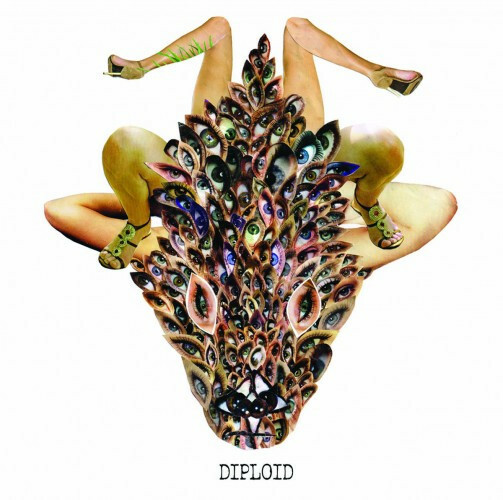 The band is a trio from Melbourne, Australia, named Diploid, and their new album Is God Up There? will be released by Art As Catharsis and Life.Lair.Regret Records on September 6. The press release we received referred to the music as a fusion of “elements of screamo, black metal, noise rock, and power violence”, and that was intriguing enough to merit a listen to the one track available on Bandcamp: “Barrels“. The music is bleak, harsh, and violent at first, the riffs crackling with distortion and the lyrics exclaimed in raw howls and ear-bleeding shrieks, with a drum tone that’s almost muffled. And then something happens that made me a fan of this song: In the midst of that storm of abrasion, a rippling guitar melody surfaces that seems almost dreamlike, and it doesn’t let go even as the song slows after that raucous start, decelerating into a slow, beleaguered crawl strung out on feedback. Yes they did, and yes it was awesome! The press release we received says that Sam Turner has done work for 3 Inches Of Blood and Black Breath, as well as TRVE Brewing Co.
Is that his name? Guys stuff is awesome. RETURN OF CORONER?!?!?!??! IT”S ABOUT TIME!!!! YES!!!! I love Khemmis, but I hope they ditch the “tough guy” nu-metal-y vocals for this album. 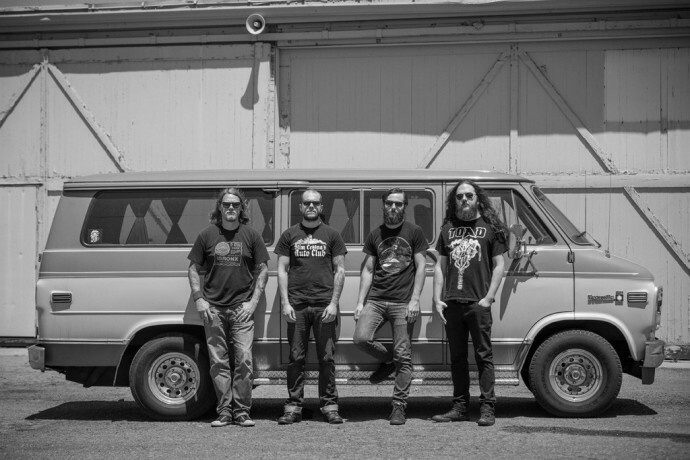 That Coroner photo is actually with the founder drummer Marky Edelmann (on the left). Saw them a couple years back, they were great – played mostly stuff from their last two albums which makes me curious where are they going to go with this new one. Stoked.